Measures 2.76" x 2.95" x 1.38"
Jack Russell Terrier Brown& White with Red Collar is individually wrapped in special shred in the exclusive Joy To The World Collectibles® gift box at no extra charge. Gift box label includes ornament name and picture, and makes a perfect gift for Christmas or any other time of the year. 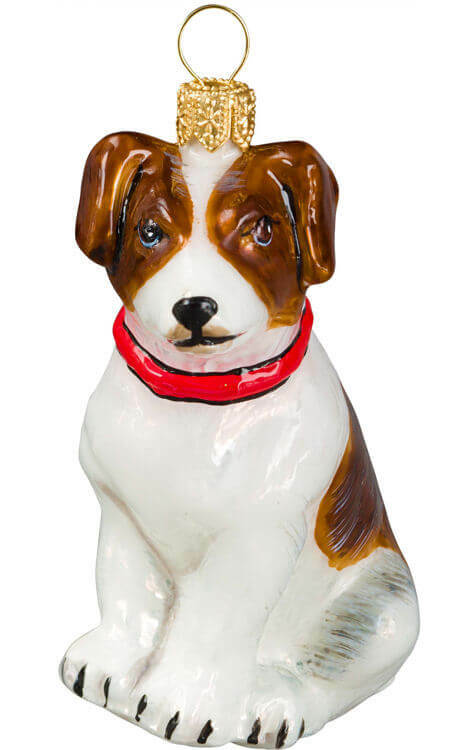 A member of The Pet Set Collection, Jack Russell Terrier Brown& White with Red Collar was carefully and painstakingly handcrafted in Poland, where high quality standards are consistently maintained.